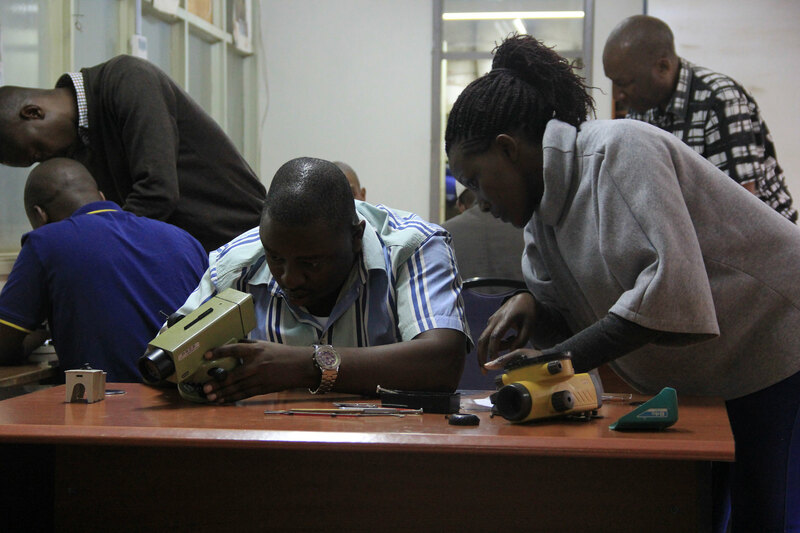 RCMRD’s Engineering Department trained officers from the Surveyors General Department in Uganda, Malawi, Lesotho, Rwanda and Zimbabwe on how to repair various base level survey equipment. 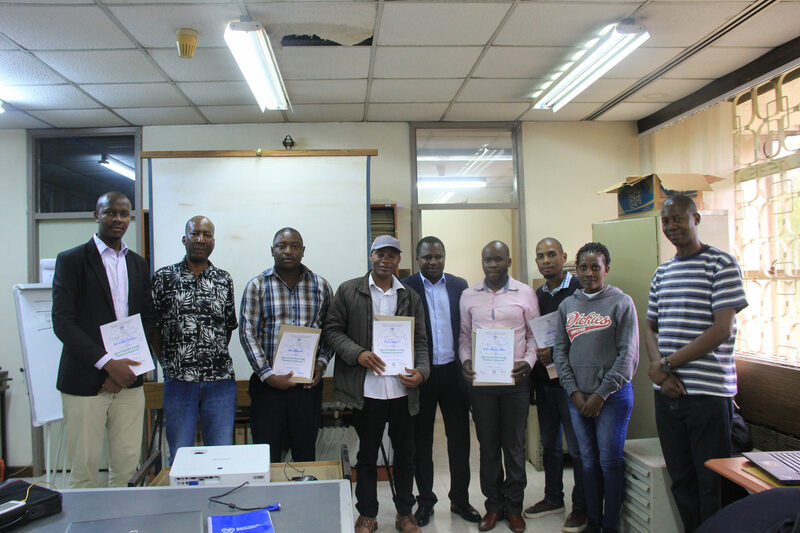 The trainees included: Uganda’s Alvin Muhimbura, Malawi’s Andrew Makani, Lesotho’s Thabo Makelepo, Rwanda’s Kubimana Jean De Dieu and Zimbabwe’s Regis Kapuyah In the training, the participants were taught how to service the various parts that are in entry level survey equipment i.e. tripods, levels, tribrach among others. The training was for five days (22 to 26, October 2018) at the RCMRD engineering department. 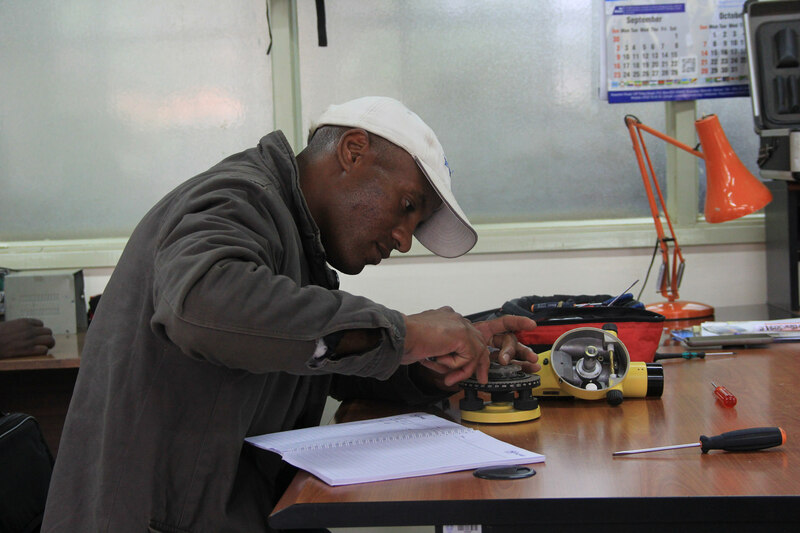 The workshop covered all areas related to the repair and calibration of survey equipment. Starting with the institutional practice of handling equipment, an introduction to a collimator and axis checking tools and finally the levels. By the end of the training, the participants had gone through both practical and theoretical sessions on how to service a tripod, how to service optical levels and the two-peg test. They also learnt about three parts of a theodolite, how to service the lower and upper parts of a tribrach and the various adjustments made to these instruments. He said as a group, they were confidently going back to their countries knowing that they had gained something from the training that they promised to put into practice. He was also looking forward to a better working relationship with RCMRD. He went on to thank the attendees for accepting the invitation despite it being a very short training, hoping that what they had learnt would not only benefit them but also put them in a position to share the knowledge with other people. As a department, “We are advocating for the implementation of a calibration policy in all the member States in the coming year (2019) that would see all survey instruments calibrated in time and remain in good condition,” said Ambuga. In his closing remarks, the Director General of RCMRD Dr. Emmanuel Nkurunziza said, “these trainings may be scarce but, we are trying our best as an organization to have as many as we can, even if it means that it doesn’t have to be as formal as this one. We hope that we can continue from where we’ve left off from this training with even more advanced lessons, hopefully with the same people to gauge progress.